Like every fox, is clever and very intelligent, but has something that distinguishes it from others … it’s pure sweetness! 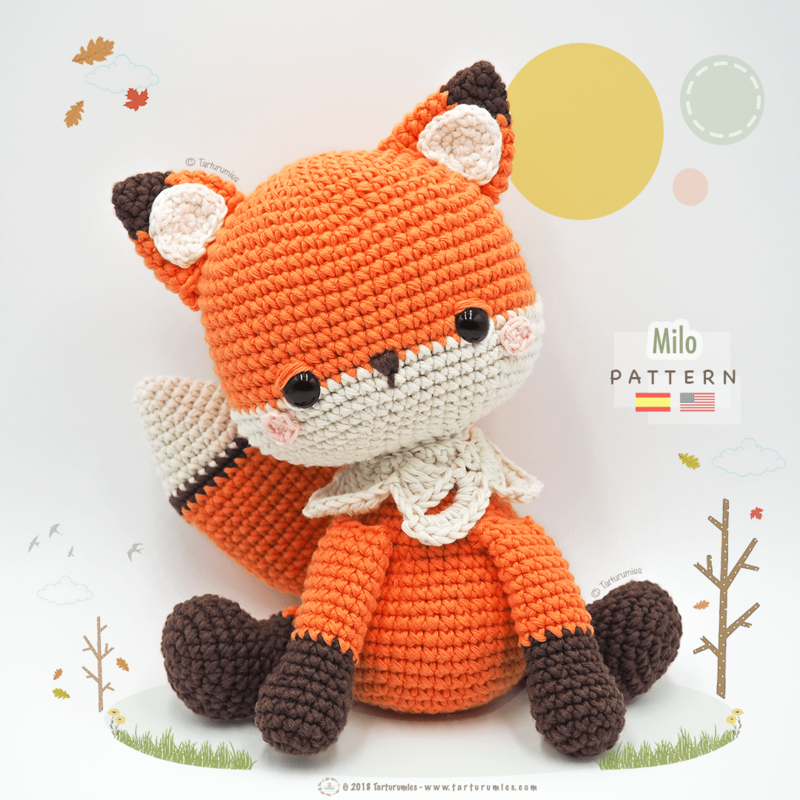 By purchasing this article you’ll receive a PDF with the step by step in 19 pages where you’ll find more than 60 photographs and diagrams, all very detailed to make your Fox Milo amigurumi. Our patterns are very clear and well organized so you can follow each step with more peacefully. This is a DOWNLOADABLE CROCHET PATTERN. Which you can download immediately after payment. What do you say? Do you dare to have your own Milo? NEW: From now, in our shop you’ll find DISCOUNT COUPONS for your purchases! USING: Our patterns are registered with all rights reserved and they are only for personal use. 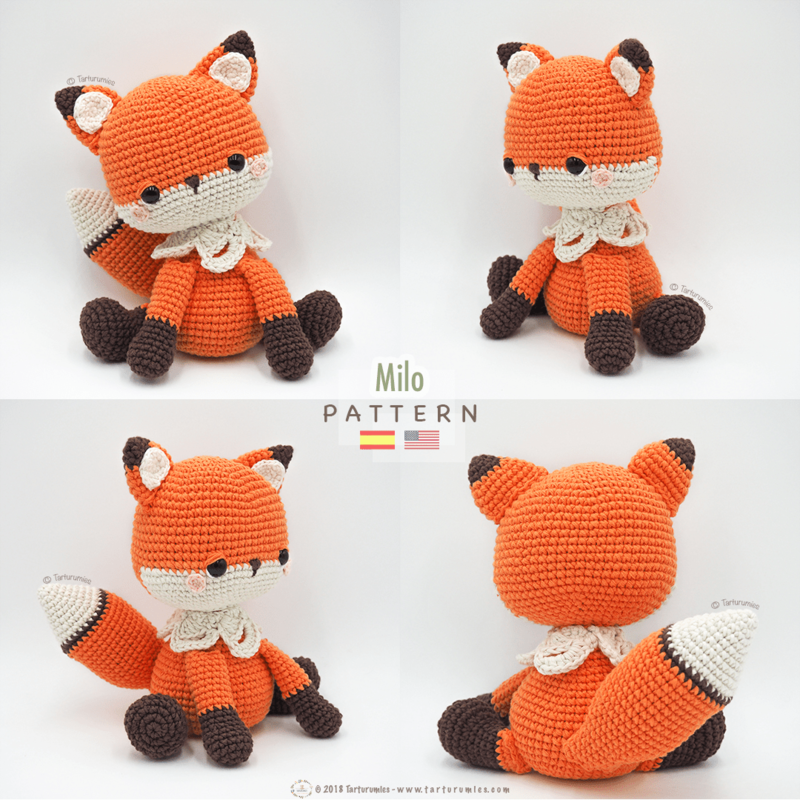 You can use this pattern to make this tender amigurumi for yourself, your family and your friends. If you share the finished amigurumi in your social networks, we would appreciate you mentioning us as authors of the design, that gesture would help more people to know us and enjoy with us. SELLING: You’re allowed to sell the amigurumis that you make with this pattern on a small scale, but please give us the credit of the design and provide a link to our website www.tarturumies.com. Please mention us in your finalish work. SHARING: You’re allowed to share the images of our amigurumis in your social networks or website (without the pattern) but you must name us as the author of the design and must be accompanied by the link on our website. If you share, we will appreciate it, if you doing so helps us to continue growing, creating and enjoying the beautiful art of amigurumis. NO: This pattern or parts of it can ́t: distribute it, resell it, translate it into any language, alter it, reproduce it, publish it, share it or post it (free or for sale) on the internet or in any other type of medium. Thank you for being respectful and for your understanding!